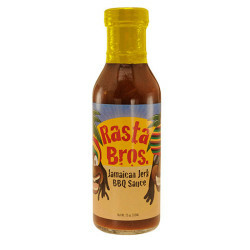 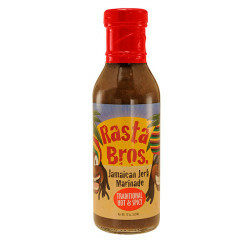 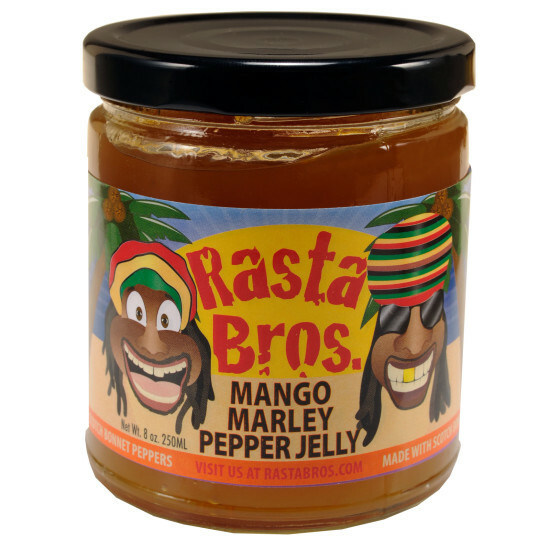 Rasta Bros. Rasta Hot Sauce | Rasta Bros.
Scotch Bonnet Peppers have a unique smoky taste unlike any other. 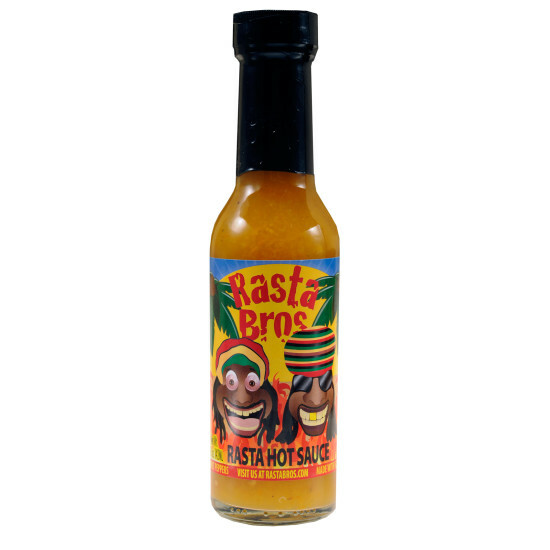 Rasta Hot Sauce brings that crazy intensly hot flavor of Jamaica right to your table! 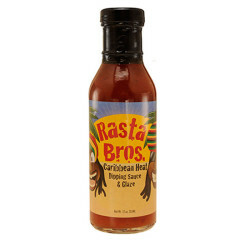 Add instant Caribbean heat to your soups, stews, casseroles, Bloody Mary’s…the possibilities are endless! 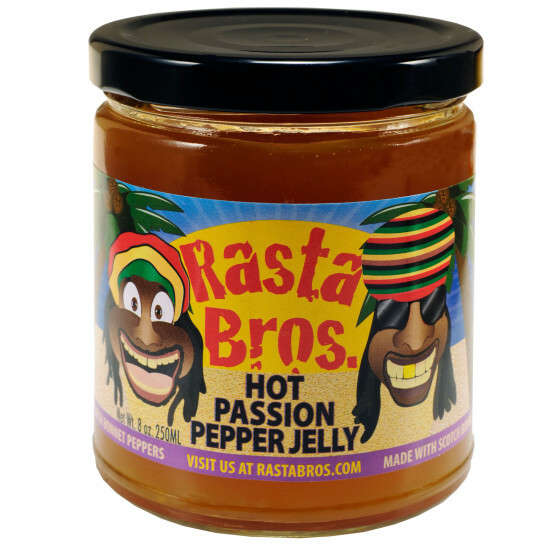 *Use with caution, it’s Hot Stuff, Mon! 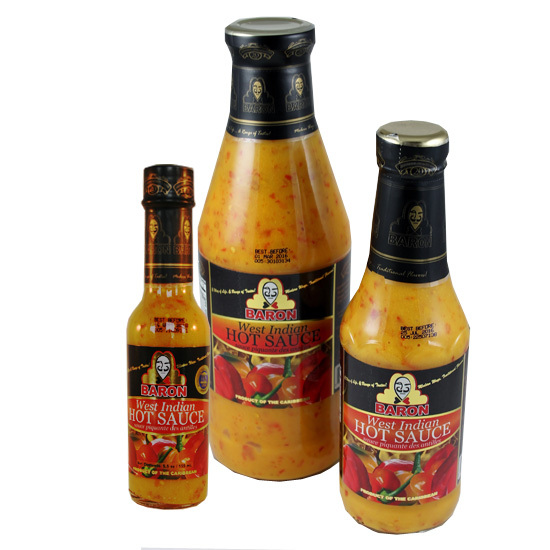 Scotch Bonnet Peppers, Vinegar, Modified Corn Starch, Citric Acid.